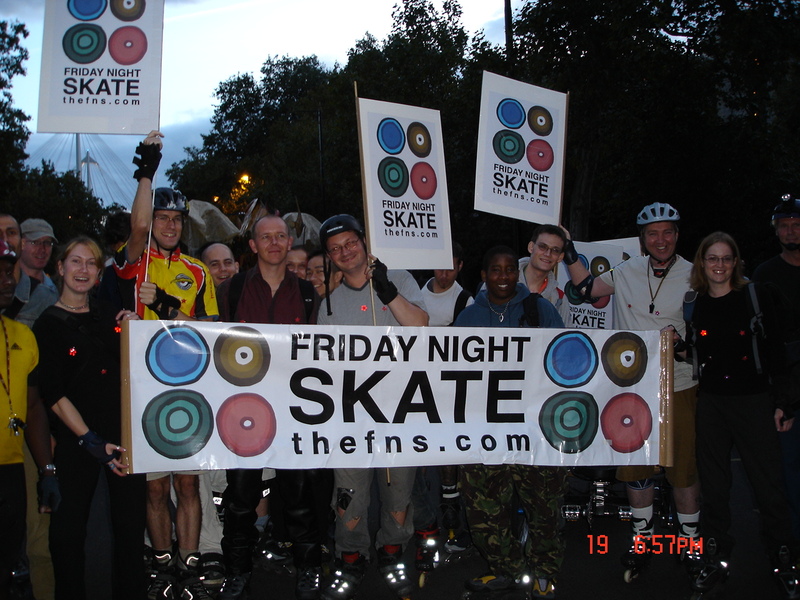 The founder of the FNS presents skating courses for all levels. VIDEO: 21 minutes of pure FNS (70MB) Pictures: FNS at the London Thames Festival ! This weeks Friday night skate is on! The start of the skate is at the meeting point. Sunday Rollerstroll as well as news on trips & events. 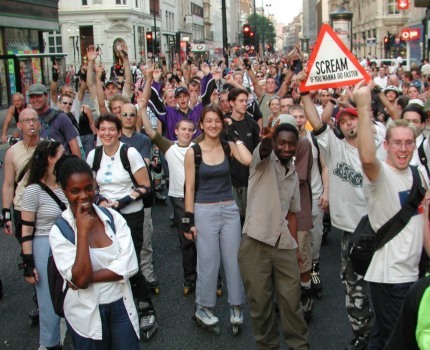 We have our 9th Birthday in May 2010 following a special route around London. It's going to be one hell of a skate! make any London tourist jealous we had such a blast! Visting London and planning to do the FNS? Interested in skating on Saturdays and Sundays ? You get free speed training, discounts off skating courses and a license to thrill as you now have the right to go past the lead marshal on the skate!